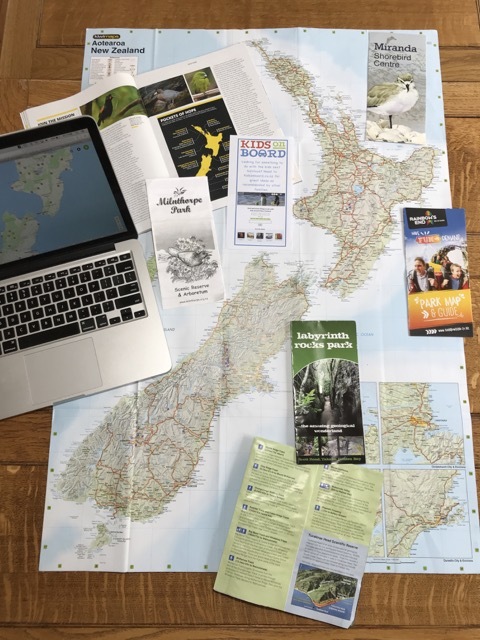 This playground is a great destination to walk to if you’re spending time in the Botanic Gardens and want to encourage your kids to have a walk. It’s not directly accessible by car and it’s uphill in one direction unless you’re doing a oneway walk! This playground has got an enclosed, fully fenced preschooler area with a slide, fire truck, small tunnel and various things to climb up and on. 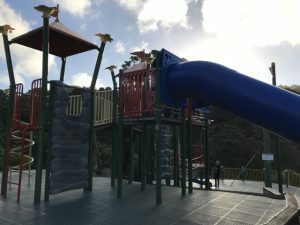 The other equipment includes a double tunnel slide, which allows kids to race each other, a flying fox, swings, a climbing wall, a Rocktopus and wobbly bridge. There’s plenty of equipment to challenge kids up to the age of about 6 or 7 years and older kids can still have lots of fun. There’s also plenty of grass around and trees to climb int he surrounding gardens. There are toilets within this area and a water fountain. It’s possible to get to the playground on paths without stairs – follow the direction signs and all paths with stairs are marked. 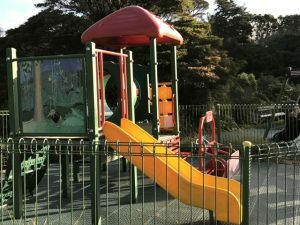 TOP TIP: the playground is closer to the Kelburn ‘top’ end of the gardens, where parking is available near the cable car entrance. But returning to your car will mean a steep uphill walk. Instead you might want to try parking on Tinakori Road/Glenmore Street and walking up via the duck pond so that it’s a downhill walk on your return. Alternatively, you can combine a trip up on the cable car (check here for details) with a walk back down to the city via the playground. If you need to suddenly escape bad weather, there’s the Treehouse where they are sometimes activities for kids, Space Place (although limited opening days) or the Cable Car Museum all reasonably close by. For a great cafe inside the Botanic Garden, check out Picnic Cafe here. Address: The playground has no direct road access – you will need to walk to it via the entrance on Upland Road (some free street parking and a paid car park). Or use the free parking (120min) on Tinakori Road/Glenmore Street.